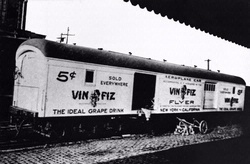 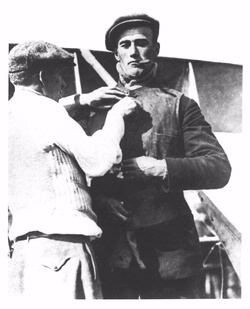 The Vin Fiz was the first airplane to cross the United States from coast to coast. 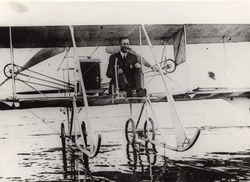 The Wright EX was a single-seat airplane for exhibition flying manufactured and sold by the Wright brothers. 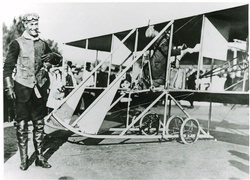 The Vin Fiz was the first airplane to cross the United States from coast to coast. 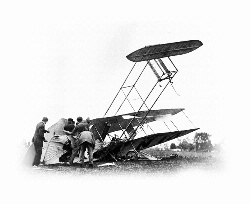 It was rebuilt so many times during its historic cross-country flight that almost every part was replaced along the way. 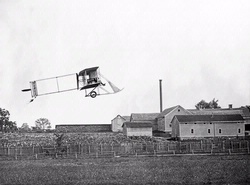 Photo by Eric Long, Smithsonian National Air and Space Museum (NASM 2011-02989). 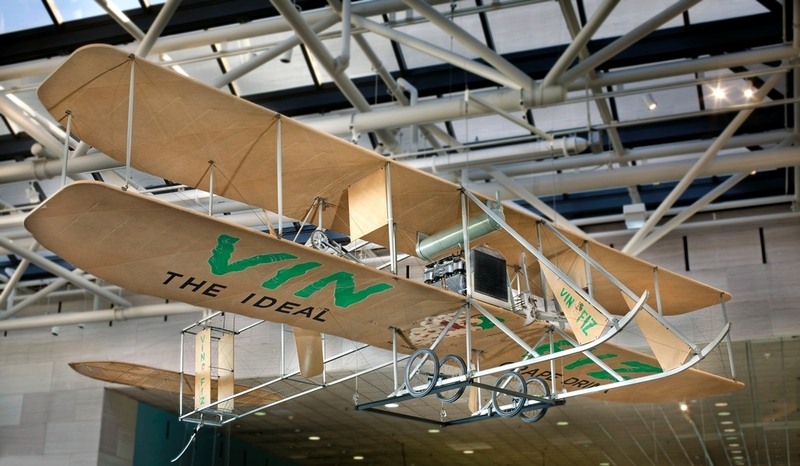 Find out more about The Wright EX Vin Fiz.